Launch day is finally here! It's time to show the world your gorgeous new site and celebrate! 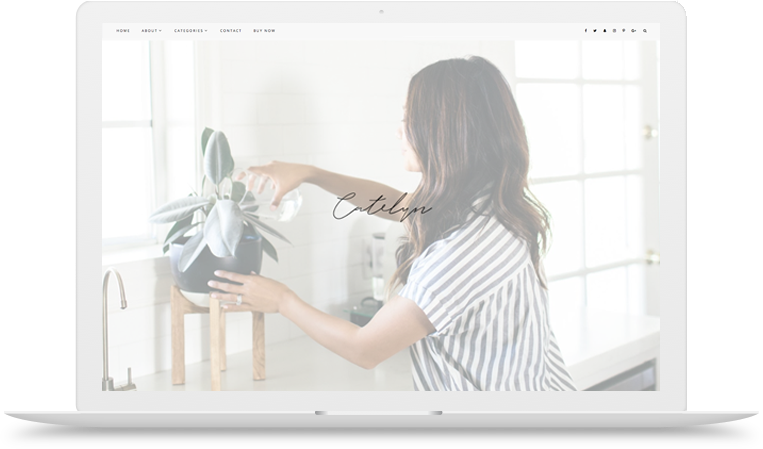 The theme I purchased was created for photographers, but I was able to convert it into a full blog. The documentation is easy to follow and I often refer back to it for making visual changes or restore the original settings. I love the different layouts, page styles, and box types. I've had multiple people ask about the specific theme I'm using. Overall, it makes my blog look very clean and polished. Highly recommended! 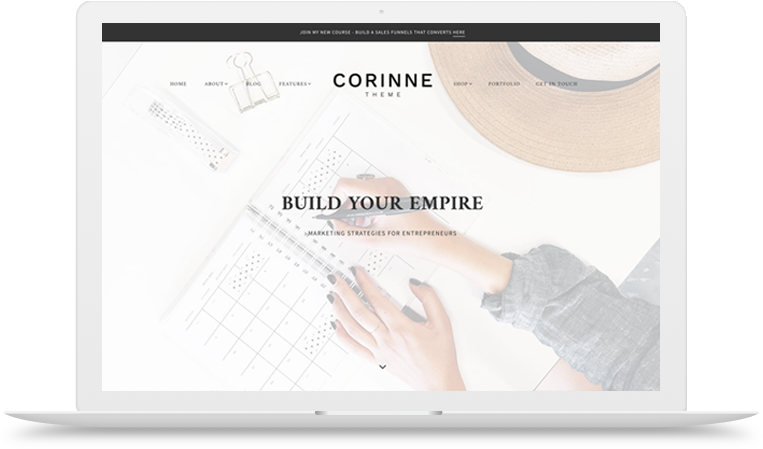 Buying a Herpark Studio theme was the best thing I've done since I started my business. Now I have a pro website, that honors my work and delights my ideal client. I love Noelia's feminine themes for WordPress.org because they are modern and beatiful at the same time. I really like Amara's layout,it is exactly what I was looking for! Noelia is an excellent professional, really kind and helpful. I trusted her to install my theme and thanks to her I saved a lot of time. I strongly recommend her to everyone who may be interested in installing a new website. I'm looking forward to working with her again. I love Noelia's feminine themes for WordPress.org because they are modern and beatiful at the same time. I really like Amara's layout,it is exactly what I was looking for! Noelia is an excellent professional, really kind and helpful. I trusted her to install my theme and thanks to her I saved a lot of time. I strongly recommend her to everyone who may be interested in installing a new website. I'm looking forward to working with her again. If you're looking for to find the theme of all themes, and the designer of all designers, Herpark Studio is THE PLACE for you!! I'm absolutely IN LOVE with the Grazie theme for Wordpress. The provided setup documentation is clear, concise, and designed to keep you on task. The quality and value you receive for the price is unparalleled. Hands down. So personable and pleasant, Noelia is the most fabulous theme designer I've ever worked with. She is timely, caring, and a consummate professional. Needless to say, I never want to work with anyone but Noelia ever again!!! I’m so satisfied with my page and the overall look, it’s representing my brand to the core and cohesive with what I do and wish to look. Recommend it to anyone that want a professional and good looking site in a snap and what is precious to me, they have a wonderful support. I’m so satisfied with my page and the overall look, it’s representing my brand to the core and cohesive with what I do and wish to look. Recommend it to anyone that want a professional and good looking site in a snap and what is precious to me, they have a wonderful support. 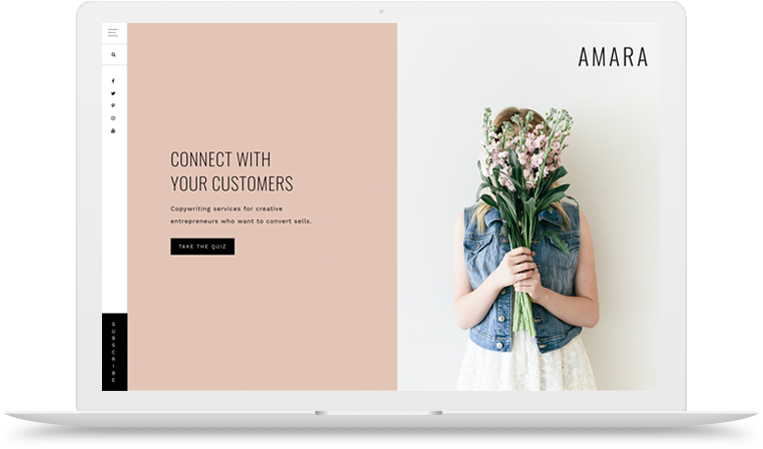 When I needed a template for a portfolio style website to showcase my work as a Social Media and Influencer Manager I scoured the internet looking for the perfect one. After 3 weeks of searching, I found Herpark Studio and the seamlessly beautiful designs in all her templates caught my eye. It really makes my content pop!